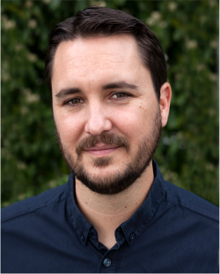 Yes, you read that correctly, a spider (not the one pictured above) made Wil Wheaton – actor, writer and social-media man about town -- brick his phone. It was a spider and a security camera, actually. I think I bricked my Nexus 6 ... I'm hoping that someone reading this can help me save it. So I had the CM nightly for my device on it (shamu for lyz28j) and everything was running like a dream. Then, yesterday morning, all the google services started crashing and locking up my device. I presumed that this was caused by my one of my security cameras sending almost 500 emails (with images) overnight, because a spider built a web in front of it. I rebooted the phone after I'd deleted all the emails from my desktop, and it worked normally for a little bit, but then I started getting the Google Services error popup again, followed by nearly every app on the device stopping unexpectedly. I figured that gapps must have gotten messed up somehow, so I booted up recovery and tried to reflash the gapps package, and that's when everything went to hell. TWRP couldn't mount /cache or /system, and everything I tried to repair that using the tools available to me failed. Finally, I erased system and cache, and since then my phone just sits on the blank screen that says GOOGLE when I try to reboot it. I thought maybe it needed lots of time to create new partitions or something, so I left it on that screen for two hours last night, without any changes. Before bed, I decided to do a factory wipe/restore from the bootloader, but it just stayed on that same screen for nine hours. So this is where I am now, and this is why I think I bricked my phone. As of a moment ago, all kinds of Google+ users were offering all kinds of advice regarding what Wheaton might do to salvage his phone, though some seemed to believe it’s a goner. And, if you’re wondering whether the spider part of the story is true, all I can tell you is that the Internet is lousy with pictures of spiders and spider webs strung in front of security cameras. The photo atop this post is a screen capture from this YouTube video showing a time-lapse of one such spider doing such work. And let us not forget what ants can do to fiber optic cable.